What was once a working-class neighbourhood called 'Red Wedding' is now a booming and culturally diverse area. Compared to other Berlin neighbourhoods, Wedding is relatively untouched by gentrification, making it one of the city's most authentic areas. The true spirit of Berlin is still alive here. Here's why, in a nutshell. The name 'Wedding' has nothing to do with marriage. 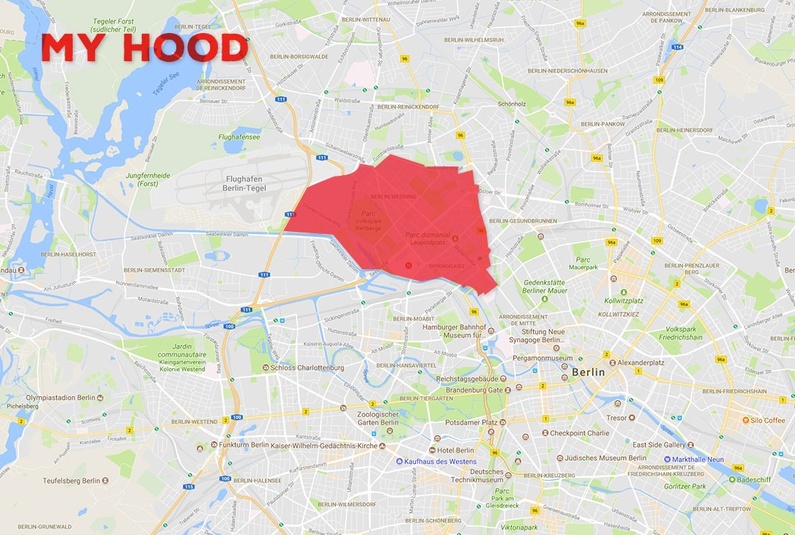 This area in Berlin was named after the 12th century nobleman Rudolf de Weddinghe, and is the only district to be spelled with a definite article–Der Wedding. Traditionally a working-class district, it is now home to a large migrant community that forms around 30% of the area's population. 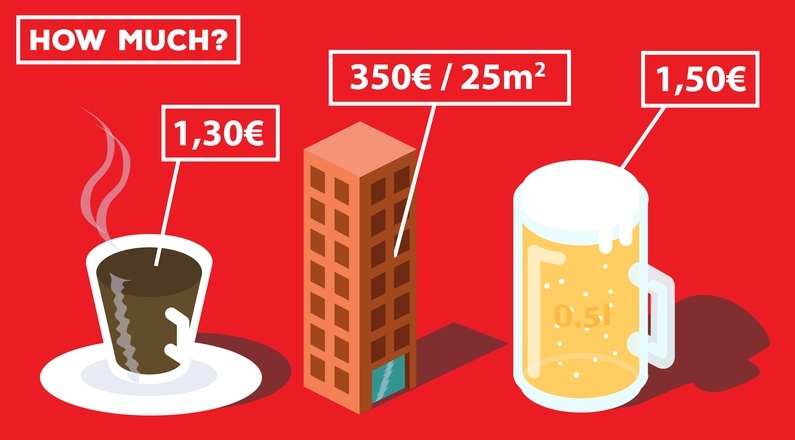 It is also one of the less wealthy areas of Berlin with relatively high unemployment and crime rates. Tourists rarely visit Wedding; the local sense of community comes from small grocery shops where locals spend most of their time talking rather than buying food, sitting at bars and enjoying a slow-paced life. Our journey through Wedding starts at the S-Bahnhof Wedding–one of the stations on the Ring Bahn, the circular metro line in Berlin. On Nettelbeckplatz, a square in front of the S-Bahn exit, there are only locals; mothers looking after their children, young people sitting on top of benches, people waiting for the bus. Most other days you can find a farmer's market at the square, but today it is quiet and residential. Unlike the more hip neighbourhoods Prenzlauer Berg and Friedrichshain, you need to know where to look to find cool bars and restaurants in Wedding. Luckily, we know just where to find them. We take off on Gerichtstraße, which should already be part of Gesundbrunnen, a separate area formed in the east part of Wedding after an administrative reform in 2001. However, locals still consider both parts Wedding. Scott Bolden lives just five minutes away from Nettelbeckplatz. He is originally from Brooklyn, but moved to Berlin in 2010 and has been working on a project called Das Baumhaus (meaning 'tree house') ever since. Das Baumhaus is an important place for the local community. Every Thursday they organise 'community nights', where people share food saved from the supermarkets as well as their upcoming projects and ideas. It is a place where people can ask for help and build new connections. The audience includes professionals, students, expats, members of the Roma and Turkish community–basically everyone from the local sphere. Everyone who comes here understands the 'vibe' and, as Scott puts it, "naturally has good behaviour." Leaving the tree house, we head north towards the middle of the neighbourhood. Passing by some quiet residential streets, we run into a crematorium that has been turned into a cultural centre called silent green Kulturquartier with exhibition and office spaces, a restaurant and a bar. Just two streets further, on the edge of Leopoldplatz, a huge white graffiti painting catches our eye. "Still not love gentrification!" is plastered across a tall grey building. In front of this building, you can find Himmelbeet, a community garden and another community space for Weddingers. 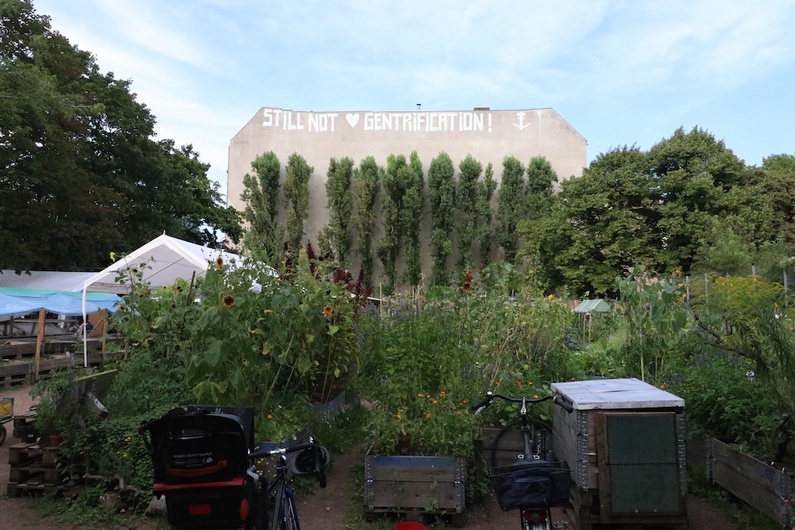 For four years locals have been growing their tomatoes and parsley in this space, but also gathering to discuss community issues and share their problems. 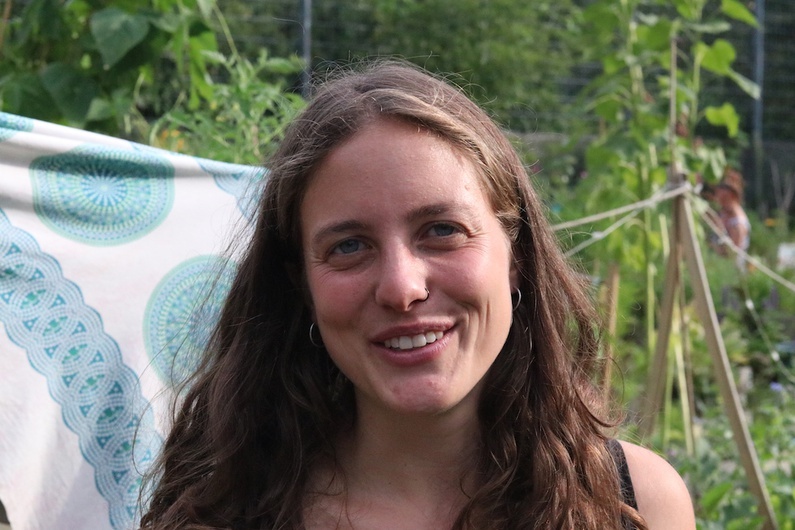 "It started as a permaculture project, but now it is actually a neighbourhood project," says Meryem while cutting mint plants. She has been working at Himmelbeet for three years and knows every flower bed in the area. "It is like a living room where you can just talk to people. I have seen kids growing up here," she adds. Last year the community built their own bread oven. Now, they bake their own bread every Friday. The best way to enjoy Wedding's cultural scene and understand its local mythology is to attend a show at the Prime Time Theatre. Several times a week at 8:15 pm they play 'Gutes Wedding Schlechtes Wedding' (meaning 'good Wedding bad Wedding'), a live sitcom. After almost 14 years of performance and 111 episodes, it's best to get your tickets in advance as the house is usually full. The hall is crowded, both with theater regulars and those do not usually go to performances. The atmosphere is very casual and relaxed; most people seem to know each other. Oliver Tautorat, the founder of the theater, greets everyone personally in the foyer. “It is like a big family get-together, where there is an uncle who it always telling jokes”, says Oliver. “We are this uncle for our public.” And indeed sometimes it is hard to understand what is happening on the stage for the laughter of the public. The hall is filled with regulars and newbies. The atmosphere is very casual and relaxed, and most people seem to know each other. Oliver Tautorat, the founder of the theatre, greets everyone personally. "It is like a big family get-together, where an uncle is always telling jokes," he says, "we are this uncle for our public." The characters on stage are typical Weddingers: a middle-aged postman called Kalle, the owner of a kebab place called Ahmed, a bossy Turkish mother, Herta FC fans and many more. 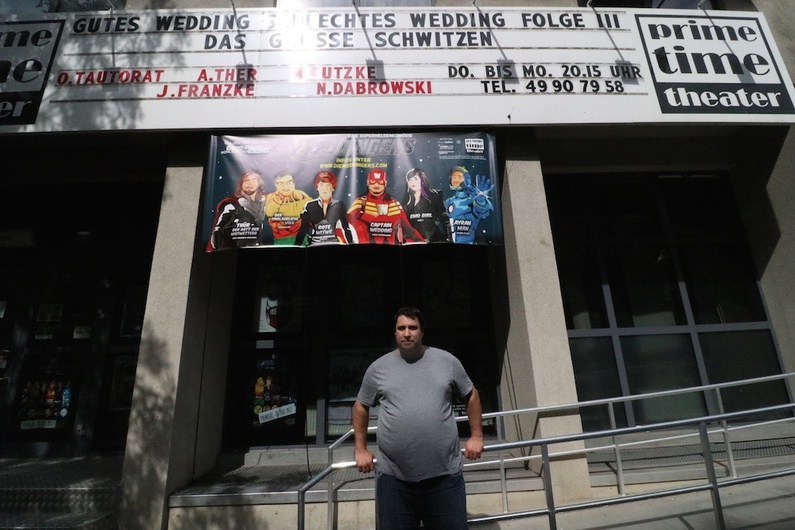 Like any sitcom, the theatre plays with archetypal local characters that are still accessible to a larger German audience. Wedding is slowly getting rid of its reputation as a poor, dirty and dangerous neighbourhood. 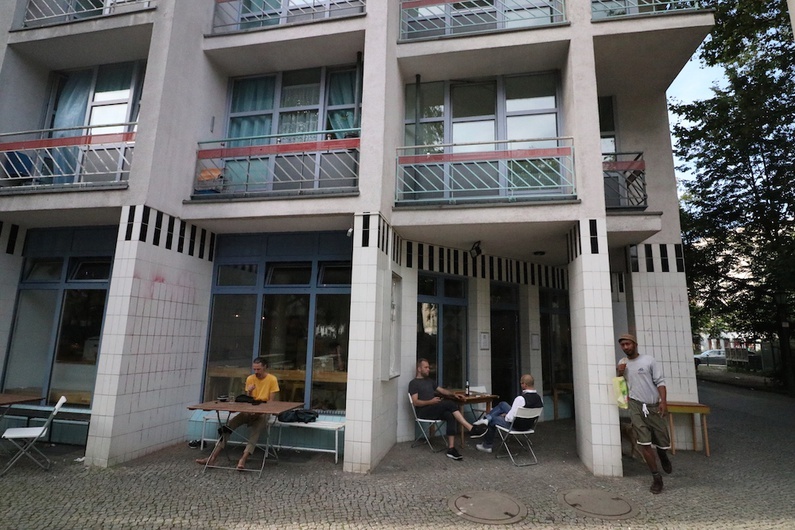 It's been 10 years since people have been saying "Wedding will become the new Neukölln," since more and more artists and students are moving in. But the process of gentrification is not obvious, with the exception of Sprengelkiez. 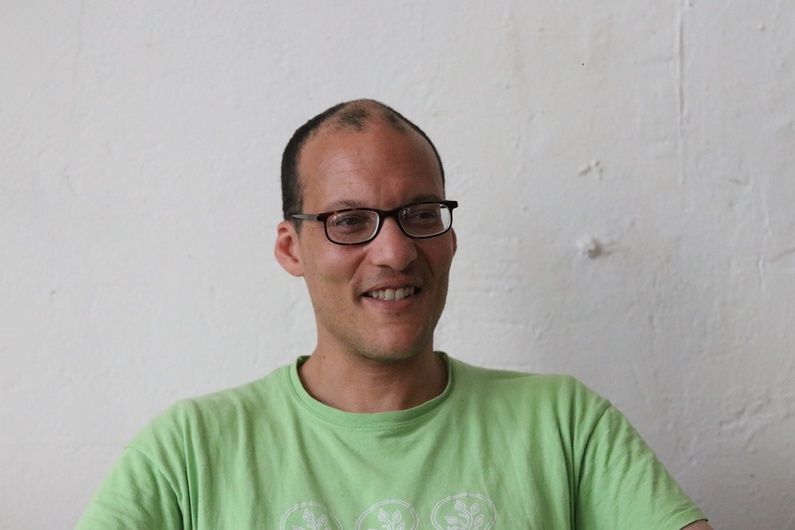 "Wedding is constantly developing, but at a human pace," says Joachim, founder of the local website Weddingweiser. "It is in the centre of media attention due to some negative press reports about criminality and social problems, but in a strange way, you can live a quiet and residential life here. There are quite a lot of local initiatives and projects that connect its residents to each other." We finish our day trip in the Moritz Bar, not far from the theatre. 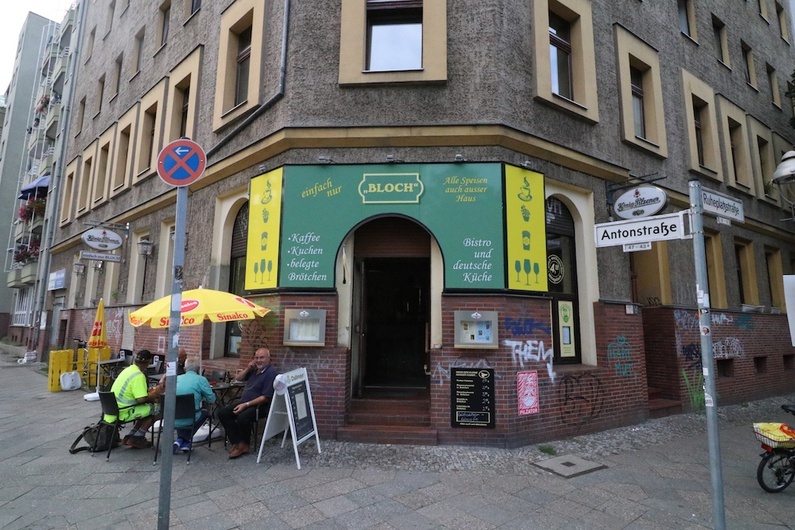 It's an ordinary Berlin-style place with a modest beer selection. Two men sit down next to us and we casually start a conversation. Both of them live nearby; who else would go to a bar in Wedding on a Thursday night? For them, it's simply cheaper to live in Wedding. "And if you need, you can be somewhere else with a simple S-Bahn ride," they conclude.